Presentation is devoted to using Universal Mechanism software for PBS analysis of road trains. The aim of the paper is to present the approach for simulation of dynamics of the systems consisting of railway vehicle, flexible track and flexible foundation. Railway vehicles are considered as multibody systems that include rigid or flexible bodies, joints and force elements. The track model is considered as a periodic 3D structure consisting of rails, pads and sleepers on a flexible foundation. Two rails modelled as Timoshenko beams are discretely supported on the sleepers through the railpads and fasteners, that are modelled as nonlinear force elements. The foundation (bridge, tunnel, overpass) is considered as a flexible multibody system simulated using finite element method. Vertical response of the track model is verified through comparison with experimental data. 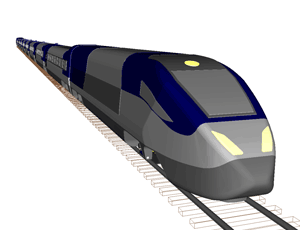 Test case of simulation of suburban 6-car train on a flexible railway track and three sections of U-like flexible railway bridge of 30 m each is shown. Comparison of the simulation results with experimental data is given. New! Conventional railway models, models with flexible car bodies and bogie frames, wheel-to-rail contact models, flexible track models, vehicle-track-bridge interaction, rolling contact fatigue, wheel and rail profile wear, stability and safety of railway vehicles: listed above and other questions are considered. Presented approach is based on method of dynamic simulation of flexible bodies which is implemented in UM software. The approach to simulation of flexible railway track dynamics in Universal Mechanism software is considered. The approach supposes considering rails as Timoshenko beams and slippers as rigid bodies or Euler-Bernoulli beams. A massless track-wheel-terrain interaction model for the real-time simulation of tracked vehicles is suggested. The model is oriented for simulation of tracked vehicles on highly non-smooth urban and industrial terrains that include such elements like stairs, vertical obstacles etc. The various issues of simulation of drillstring dynamics using the multibody approach are considered. Different multibody models of the whole drillstring and the bottom hole assembly are discussed. Comparison of the numerical simulation, theoretical and experimental results is presented. Presentation is devoted to simulation of train derailment processes and the identification of causes of derailments by using Universal mechanism software. Presentation is devoted to models of freight cars based on three-piece bogies and its applications. Presentation is devoted to simulation of accumulation of contact fatigue damages in railway wheels with the help of Universal Mechanism software. Simulation is supported by UM RCF module. Volume 22, Number 4, 2009, pp. 399–423. Computer models of freight cars with three-piece and Y25 bogies are considered and compared. Efficient numeric methods for simulation of vehicle models in the presence of frictional contacts are discussed. Some simulation results on derailment safety analysis and influence of track gauge value on freight-car dynamics are presented. Methods of stress loading and durability analysis based on computer simulation and some results are presented. A tribodynamic model of railway vehicle-track interaction and results of computation of wheel and rail profile wear are discussed. The article "Development of dynamics simulation program for coupling vibration of maglev train-track beam based on UM" in Chinese is published in Computer Aided Engineering journal. Our colleagues from VORtech BV (The Netherlands) and Tongsuan Technology (China) announced an advanced training course focusing on numerical simulation of Wheel-Rail contact mechanics based on the CONTACT software in May 2019 in Beijing and Chengdu (China). We have just developed and published a new utility that converts STEP and IGES files into UM compatible UM CAD file format. We have finished the new lesson that is devoted to the simulation of a cantilever beam in UM. The updated UM Rolling Contact Fatigue (UM RCF) module of version 2.0 is included to the new UM 8.3 release. We are very glad to announce UM User Meeting 2018 that will be held 18th-19th of October 2018 in Sichuan province, China. After several years of development we are glad to present the UM 8.5 beta version that is based on the new graphical engine. Please find details below. New UM 8.3 version is now available. Revision history is in versions.txt. The list of new features in this release is given below. New article! Computer modelling of process of accumulation of rolling contact fatigue damage in railway wheels. Some questions of influence of wheel steels hardness on processes of contact-fatigue damages accumulation are considered in the new article of our colleagues. Dear friends, we are glad to inform you that now you can find our news, videos and photos in Facebook. You may also ask a question or discuss a problem. Exclusive materials for our subscribers! From 27 November to 1 December a week-long training in NewRail railway research centre at Newcastle University was held. 20-24 November 2017 ten employees of the Kazakh Academy of Transport and Communications named after M.Tynyshpayev (Kazakhstan, Almaty) have been trained. The training was focused on issues of computer simulation dynamics of railway rolling stock. International Journal of Rail Transportation has published a new article about the results of optimization of secondary suspension of three-piece bogie with bevelled friction wedge geometry, written by our users. We are glad to inform you that the Vehicle System Dynamics journal has published a new article with our participation, in which the results of comparative testing of the train longitudinal dynamics, performed in 9 different simulators from 6 countries, are given. Universal mechanism has shown reliable results in the main group for all four considered train models. The First International Conference on Rail Transportation took place in Chengdu, China on July 10-12, 2017. In the course of this conference some reports, implemented with the help of the “Universal mechanism” software, were presented. June 17-19, our partner in China, Tongsuan Technology was invited to train the users in East China Jiaotong University. During the training, the users learned dynamics modeling and simulation of railway vehicle, flexible railway track, flexible wheelset and rail/wheel wear based on UM software. Our partner in China – Tongsuan Technology Co., Ltd. – provides UM training courses of various complexities starting from elementary to advanced ones. Please contact our colleagues via um@tong-suan.com to order training or send us your questions regarding it. Series of training courses for China Academy of Railway Sciences and Shijiazhuang Tiedao University took place in April 2017. New UM 8.0 version is now available. Revision history is in versions.txt. Please find all details regarding the new version in What is new in UM 8.0. Renewed presentation devoted to simulation of road and tracked vehicle dynamics and related questions is published on our web site. Two open seminars devoted to computer simulation of vehicle dynamics will be held 7th and 8th of July in Seoul, South Korea, by ableMax company. Railway vehicles will be considered on 7th of July. On 8th of July road and tracked vehicles will be discussed. The CONTACT add-on for UM will be available in the next UM 8. CONTACT add-on is a version of CONTACT that is integrated seamlessly into Universal Mechanism. This provides the option to simulate vehicle dynamics using CONTACTs detailed contact algorithms. Series of presentations devoted to simulation of railway vehicle dynamics in Universal Mechsnism took place in branches of Railway Technical Society of Australasia (RTSA) in Perth (May 26), Sydney (May 30), Melbourne (June 1) and Adelaide (June 2). 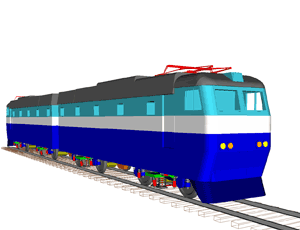 Renewed presentation devoted to simulation of railway vehicle dynamics and related questions is published on our web site. Download the presentation (PowerPoint presentation, 565 Mb, 162 slides, with animations). 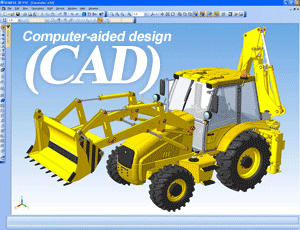 Plugins for exporting data from Autodesk Inventor, SolidWorks, Unigraphics, Creo and Unigraphics NX in UM-compatible UM CAD format were developed and published on the site. The plugins support both 32- and 64-bit versions of programs. Plugins are freely distributed and do not require any license or Universal mechanism to be installed on a computer. Plugins for exporting data from Autodesk Inventor and Unigraphics NX in UM-compatible UM CAD format are available. Plugins support both 32- and 64-bit versions of Autodesk Inventor and Unigraphics NX. Plugins are freely distributed and do not require any license or Universal mechanism to be installed on a computer. The paper "R. Kovalev, A. Sakalo, V. Yazykov, A. Shamdani, R. Bowey & C. Wakeling (2016): Simulation of longitudinal dynamics of a freight train operating through a car dumper" is published in Vehicle System Dynamics: International Journal of Vehicle Mechanics and Mobility. Welcome to UM training courses. Contact us via office@universalmechanism.com to register for a training or send us your questions regarding it. Instructions how to find us from the nearest international airports and hotels nearby are given here. Free 6-month academic license is provided for (PhD) students on request. From 21st to 25th of September the third opening training course in 2015 for UM software was successfully held in Shanghai. The users from China Academy Railway Sciences, CRRC Sifang, Beijing Jiaotong University, Shijiazhuang Tiedao University, East China Jiaotong University and Tongji University attended this course. The XIth All-Russian Congress on Basic Problems of Theoretical and Applied Mechanics was held in Kazan during August 20-24, 2015. The Laboratory of Computational Mechanics of BSTU was presented by Oleg Dmitrochenko, Alexey Sakalo, Alexander Rodikov. Simulation of ballast section dynamics which consists of a mixture of new and refined ballast in various operating conditions for optimizing its fractional composition was done. The adequate convergence of the results of computer simulation with the field experiments was obtained. 20th-24th July, the second opening training course in 2015 for UM software was held successfully in Beijing. The users from China Academy of Railway Sciences, Beijing Jiaotong University, Lanzhou Jiaotong University and Shijiazhuang Tiedao University attended this course. This example showcases the modeling of a long heavy haul train through a dumper, which allows simulation of train longitudinal dynamics. 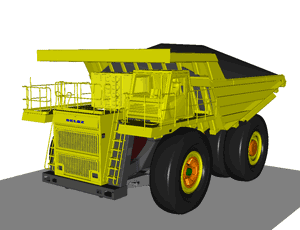 This model can be used to optimize dumping strategies for trains through a typical dumper. Field measurements using instrumented cars were used for the validation of this model. 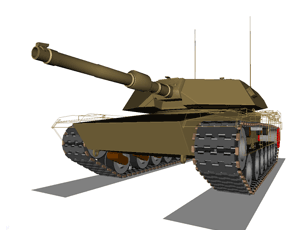 The model allows investigation of the influence of different operational parameters on in-train forces. UM at the International Heavy Haul Association Conference in Australia. 18th-22nd of May 2015, the first opening training course in 2015 for UM software was held successfully in Chengdu. The users from Southwest Jiaotong University and China Academy Railway Sciences attended this course. In order to help users to learn UM quickly, our partner in China is going to hold several open training courses for railway and rolling stock industry. The training courses will be held in Chengdu, Beijing and Shanghai, so you can choose the nearest one. The courses are divided into two parts: basic course and advanced courses. New UM 7.5 version is now available. Revision history is in versions.txt. Please find new features in recent UM reseases below. New UM 7.4 version is now available. Revision history is in versions.txt. New UM tool for simulation of the flexible railway track will be published soon. New tool will allow to analyse stress load and durability of elements of railway track, more accurately predict wheel-to-rail forces, estimate railway track vibrations. New UM 7.3 version is now available. It is our pleasure to inform all visitors of this site that the forum, that is devoted to various aspects of simulation of dynamics of mechanical systems with the help of Universal Mechanism software, is opened. New presentation and paper, that are devoted to simulation of drillstring dynamics using the multibody approach, are presented. The research is supported by Weatherford International. New videos with simulation of dynamics of BELAZ Dump Trucks and ABRAMS M1A1 are added to Presentations / Road vehicles play list. Play now. Dr. Roman Kovalev, Deputy Director of Computational Mechanics Ltd, presented the capabilities of Universal Mechanism with respect to railway applications on Monday 18th November at Faculty of Engineering at Monash University, Melbourne, Australia. UM signed a partner agreement with the Institute of Railway Technology - the premier track and vehicle railway research centre in Australia. New presentation which is devoted to simulation of accumulation of contact fatigue damages in railway wheels with the help of Universal Mechanism software is now available on our web site. 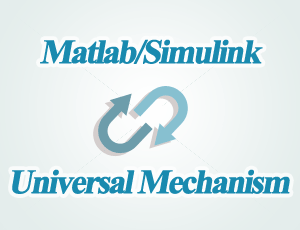 UM Control/Matlab Import UM 7.1.1 now supports recent Matlab releases R2012 and R2013. Astra Rail Industries now uses Universal Mechanism software to simulate freight car and Y25 bogie dynamics. The week training for the staff of the design office in Poprad, Slovakia and testing lab in Arad, Romania took place in Poprad during 7-11 October 2013. New UM 7.1 version is now available. New modules and features are considered here. Our team have upgraded the AR.Drone to play tennis with it. 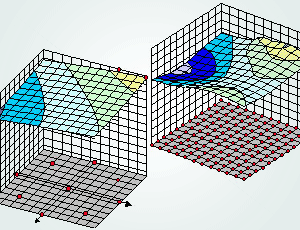 UM FEM module now supports some new finite-element analysis programs and its versions. The following FEA programs are now supported: ANSYS 14, MCS.NASTRAN 2010 and NX NASTRAN 8.0. New UM Rolling Contact Fatigue module, intended for simulation of accumulation of contact fatigue damages in railway wheels, is announced. New version of Universal Mechanism software 7.0 is available. Recently we announced prices for small business with 50% discount. New UM 6.0 release is available now. New UM Tracked Vehicle module, intended for simulation of tracked vehicle dynamics, is released.